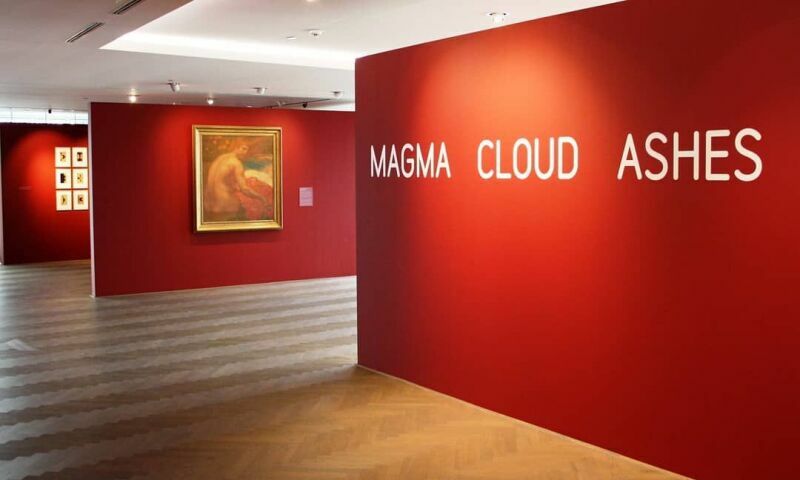 Entitled "Magma Cloud Ashes", the new exhibition of the Belfius Art Gallery revolves around three colors emerged from the earth, such as magma, clouds and ashes: red, white, black. Since the dawn of time, these three colors, extracted from the minerals and materials that made up the first pigments, have been the receptacles of a fiery cloud of symbols and affects. From the palette of millennial cave painters, who used white chalk, black charcoal, and red earth to the early chemical manufacturing processes, no other color played a comparable role in art history. "Magma Cloud Ashes" is an opportunity to magnify the Belfius Art Collection around these three colors and, through the works of Jan Brueghel, James Ensor, Pierre Alechinsky, Leon Spilliaert, Michael Borremans, Antoine Mortier, or Koen Van den Broek, discover their interpretations across eras and cultures.